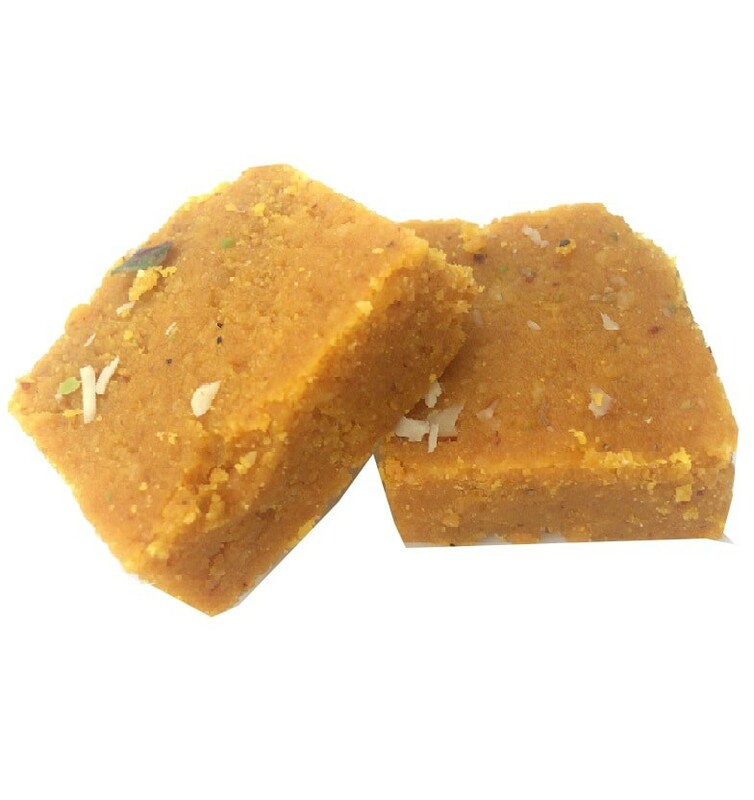 Buy Dilkushar Barfi of Laxmi Mishthan Bhandar from Jaipur online | Authentic Indian Sweet , Savories and Delicacies from the place they originate by Moipot. Dilkushar, well-known as ‘Besan ki chakki’ or ‘Mohanthal’ is famous during festivals especially during Navratri and Diwali. Made with rich ingredients like gram flour (besan), pure ghee, crushed nuts, sugar and saffron (kesar) gives this traditional Indian sweet fragrant and crunchy texture. This fragrant sweet yields easily to your mouth and delights with its wonderfully light and fluffy texture.